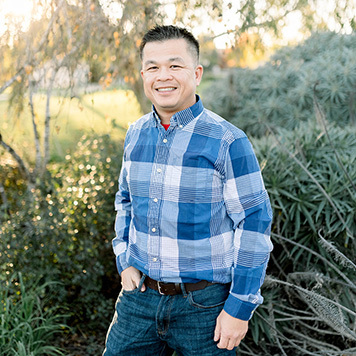 Dr. Tam started up SMPDG in 2010 with the hopes for the practice to become a place where families of Santa Maria and nearby cities would enjoy coming to their pediatric dentist. Years later, he has been fortunate enough to have Dr. Cottrell join him in a new practice located conveniently in the center of Santa Maria, right next to Panera Bread, Jamba Juice, and Starbucks. He takes pride in seeing that several of his first families still come to see them today. In his spare time, he enjoys fishing, basketball, golf, fixing his old cars, and going on adventures with his wife, two Chihuahuas, and son Ethan.